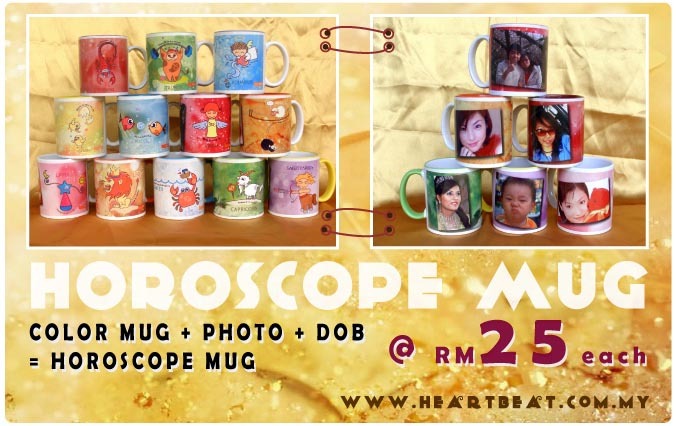 Personalised with your personal Horoscope Profile. This mug is a great keepsake that friends and collegues will envy. It is a good gift for birthday occasion. Just imagine you give your friends a gifts printed with his name, and date of birth...It will be very touching for everyone..
By either giving this unique gift ideas - HOROSCOPE GIFTS to your beloved one and yourself. HOW to customize your gifts? It is EASY AS ABC.